Will a Montessori Education Prepare My Child for the Real World? Schedule is determined by Admissions Director Our Admissions Director, Ceara Comstock prepares a schedule for 3-years old who’ve applied to the school to come on a Saturday morning for an interview with a preprimary teacher. If you’re interested in applying and having an interview for your 3-year old, call Ceara at 281-7999. Music and dance combine in this event to create an enjoyable evening of student work in the performing arts. Teachers, Melissa Robinson and Jeanne Speier, have been leading the children in preparation for this event. Music and dance combine in this event to create an enjoyable morning of student work in the performing arts. Teachers, Melissa Robinson and Jeanne Speier, have been leading the children in preparation for this event. Students of TNSM take their parents, friends or relatives on a tour of The New School, showing the projects, the environments and the Montessori works they enjoy. You are welcome to attend TNSM Board meetings usually held on the 3rd Tuesday of every month. We have 10-12 parent board members each year who meet with administrative staff to help guide the business and mission of the school. 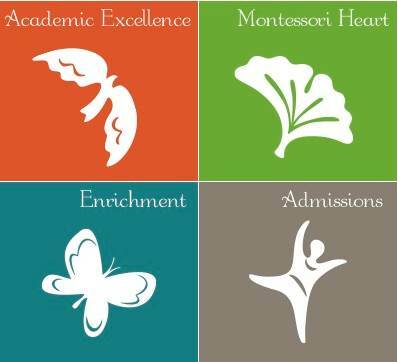 See what our Director, Jeff Groh, has to say about Montessori and education topics. See the latest activities, pictures and news on the New School Montessori blog. Copyright © 2014 The New School Montessori. All Rights Reserved. 3 Burton Woods Lane, Cincinnati, OH 45229.